As you transition from the outer world to the inner womb you enter through 3 doors. The first area is relatively small. Above each side window is a light fixture. See lower left corner of this page. These are both salutations used to honor the god/goddess that is within each of us. Shoes are removed before entering the temple. Hand made tile in the form of a peacock allows your feet to have the an organic type experience. The peacock is the vehicle of Brahma, the creator. The walls are textured with hand troweled plaster and then painted with green and peacock blue washes. 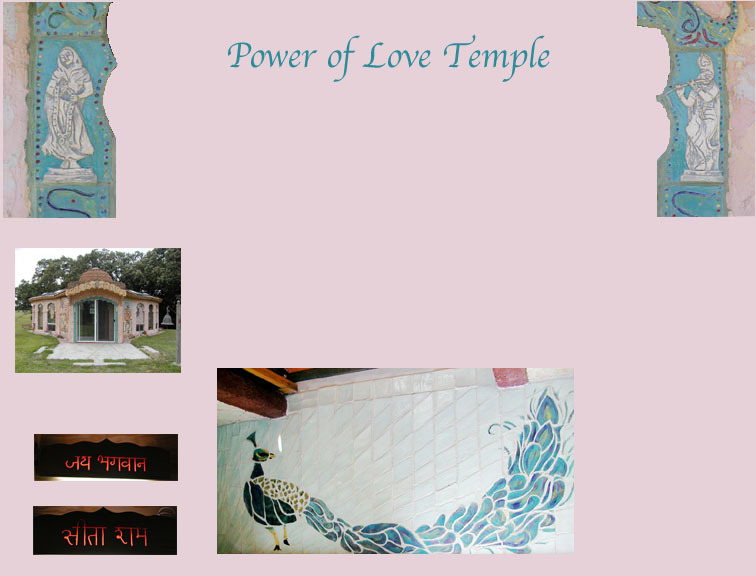 The wall with the pocket door is troweled stucco and is the color of the temple exterior.